Daily On My Way to Heaven: Not one, but THREE winners! 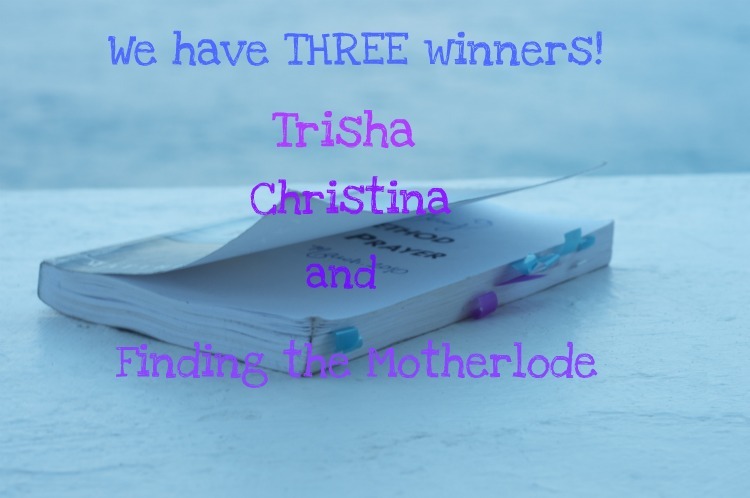 We have one THREE winners of the book A Method for Prayer by Matthew Henry. I was so happy with your responses that I wanted to give each one of you one copy! So instead of one I decided to give three books away. May His grace abound as we grow closer to Him in prayer. *If you are interested in getting this book, you can buy it at a great price at Reformation Heritage Books.